Vertical transmission of HIV remains a significant challenge in resource-limited settings today. The number of children living with HIV currently exceeds 3 million, most of them living in Sub-Saharan Africa, with less than a tenth of them being reached with basic health services. This is particularly true in Kenya, where the estimated antiretroviral therapy (ART) coverage for prevention of mother-to-child transmission of HIV (PMTCT) was only 53% in 2012 and where ART coverage among eligible children was estimated at only 38% in 2012 for those aged 14 and under. A health systems approach is essential to eliminate MTCT. There is an increasing interest in exploring the use of mobile phones and mobile technology to enhance PMTCT efforts. Earth Institute authors writing in this week’s BMC Public Health found that integrating PMTCT efforts with mobile Health (mHealth) and community-based approaches can be highly effective at ensuring acceptance and uptake of healthcare services. In a public health research article, Ivy Mushamiri of the One Million Community Health Workers’ Campaign and her colleagues, under the supervision of Dr. Yanis Ben Amor the Director of the HIV/AIDS and TB Initiative at the Millennium Villages Project (MVP), investigated end-user changes in health-seeking behavior in antenatal care (ANC) and postnatal care (PNC) following registration of 800 women into an mHealth tool that uses text messages to coordinate Community Health Worker (CHW) activities around ANC and PMTCT, named the ANC/PMTCT Adherence System (APAS), implemented in the MVP site in Western Kenya. 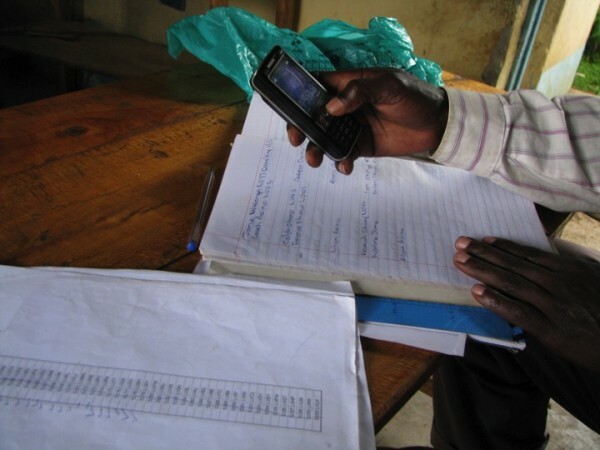 The authors aimed to show that a CHW-centered mHealth technology reminder system can improve PMTCT efforts by increasing uptake of health services, decreasing loss to follow up and decreasing vertical HIV transmission rates in Western Kenya. From an analysis of routine based data from the sample of women who had their first ANC visit in the second trimester of their pregnancy and resided in the MVP cluster, Mushamiri and colleagues showed that women who were enrolled in the APAS had 3 times the odds of going for more ANC visits rather than less, compared to women not enrolled in the APAS after adjusting for the mother’s HIV status. However, since 4 ANC visits are standardly recommended in order to ensure a safe pregnancy, the interesting caveat of this mHealth system is that it can only effectively work if women present to the ANC clinic earlier rather than later. Mushamiri and colleagues state: “From data collected during interviews and focus groups, women shared that family planning and HIV prevention were among the main educational messages disseminated by CHWs during their regular visits. While this data suggests that women in the community are aware of the importance of fulfilling their clinic appointments, only 4 women (0.6%) in the sample used for routine based data analysis made their first ANC appointment in their first trimester, underlining a stark difference between knowledge and practice.” The authors attribute this discrepancy to cultural reasons that may explain or justify why pregnant women tend to wait until the second trimester before presenting to a health clinic. The biggest impact of the APAS on improving health-seeking behavior was shown in its drastic effect in increasing post-delivery baby follow-ups. The authors found that, “women who resided inside the MVP cluster had twice the odds of going for more baby follow-ups rather than less, compared to women who resided outside the MVP cluster. Additionally, among women residing in the MVP cluster, women who were registered in the APAS had 4 times the odds of going for more baby follow-ups rather than less, compared to women not registered in the APAS, after adjusting for mother’s HIV status and parity. 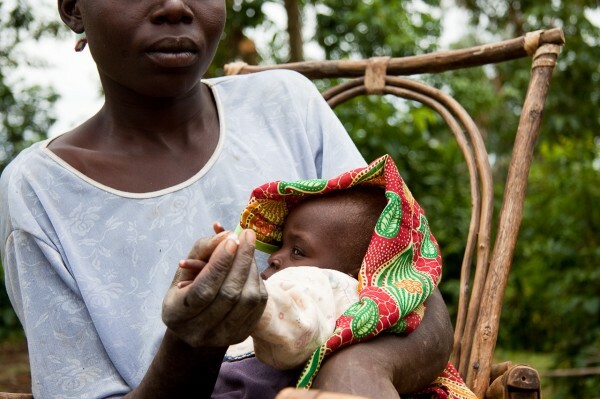 The APAS therefore greatly increases the likelihood of women making the recommended 6 baby follow-ups.” At least 6 baby follow-up visits are standardly recommended to ensure appropriate and complete postnatal care, such as mandatory vaccinations, nutritional assessments and Early Infant Diagnosis for HIV-exposed infants. The APAS therefore greatly empowered CHWs to remind women in their catchment areas to adhere to PNC more effectively than they did using paper-based tracking forms. Upon its inception, the APAS aimed to help alleviate vertical HIV transmission rates while also providing additional functionalities to reach all pregnant women, regardless of HIV status. The authors were able to show a significant difference in the vertical HIV transmission rate at 18 months for women registered in the APAS compared to women not registered in the system and compared to the global vertical HIV transmission rate of 30%. In the sample studied, the authors showed that vertical HIV transmission rates at 18 months were 0% for registered APAS users living in the MVP cluster, compared to the 9% vertical HIV transmission rate for women not registered in the APAS but living in the cluster, and a similar rate for women outside the cluster, suggesting that the mHealth system contributed substantially to alleviating MTCT in the community. “Transmission rates at 9 months following birth were 14.4% for women not registered in the APAS and residing outside the MVP cluster, 8.3% for women not registered in the APAS but residing inside the MVP cluster, and 0% for women both registered in the APAS and residing inside the MVP cluster. This suggests that the efforts under-taken by MVP to reduce MTCT within the cluster have effectively close-to halved the vertical HIV transmission rate. However, only through the use of the APAS was it possible to eliminate transmission altogether, in the sample we analyzed,” Mushamiri and colleagues state. The study showed that the use of a combination of CHW programs and mHealth tools not only strengthens adherence to ANC and PNC, as shown in the effectiveness in tracking and improving the treatment-seeking behavior of pregnant women, during pregnancy and up to 18 months following delivery, but may also allow communities well integrated into the primary health system to reach closer to the goal of elimination of vertical HIV transmission in PMTCT programs. Full version of the paper, “Evaluation of the impact of a mobile health system on adherence to antenatal and postnatal care and prevention of mother-to-child transmission of HIV programs in Kenya” is available at the BMC Public Health open access site. These are just exceptional mobile health tools which will help a mother for her child. Will these tools be helpful during the pregnancy?